The focus is on pipeline routing, mechanical design, construction methods, hydraulics, installation, and operations of onshore pipeline systems. 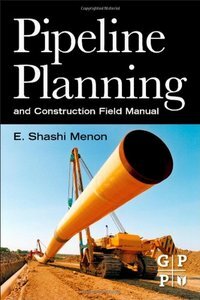 With this book readers will acquire and/or consolidate the essential knowledge and skills to design, construct, and operate pipelines. Design and simulation problems are an integral part of this book.